In today’s busy world, we seem to be obsessed with the idea of “productivity” and “work hacks”. The problem we run into, however, is that it is easy to get motivated, but hard to stay disciplined. This is because most of us look at productivity in the wrong way: it’s not about signing up for the latest task management tool (which, admit it, you’ll use for a week and soon abandon) or chaining yourself to your desk, it’s about understanding the fundamentals behind how your brain works, and using it to your advantage. Today, we’ll look at what science has unveiled about the human brain and productive work, and you’ll learn how to tackle the biggest pitfalls that sabotage your ability to get things done. Related: Seeing Red? Keep This In Mind When Choosing Marketing Colors. My first ever video related project, get excited! I collaborated with Mitchell Moffit of the ASAPscience team to create the above video. Okay, so a 3 minute video might not be able to contain all the research I’ve compiled on the subject, but it seriously covers all of the essentials! So go ahead and watch it, and enjoy. Once you’ve done that, and you’re still itching to know more, scroll down: there are a dozen studies and 2000+ words waiting for you. The first thing we need to acknowledge in the pursuit of a more productive lifestyle is the mountain of evidence that suggests willpower alone will not be enough to stay productive! You stocked your fridge with the healthiest foods & planned to exercise every day... until the first day you slipped up. After that, it was back to your old ways. To make matters worse, research by Kenneth McGraw was able to show that the biggest “wall” to success was often just getting started. Additional research in this area (surrounding the Zeigarnik Effect) suggests that we’re prone to procrastinating on large projects because we visualize the worst parts and thus delay in getting started. What do our brains prefer to do instead? According to researcher John Bargh, your brain will attempt to “simulate” real productive work by avoiding big projects and focusing on small, mindless tasks to fill your time. Perhaps worst of all, numerous studies on the concept of “ego-depletion” have provided some astounding evidence that suggests our willpower is a “limited resource” that can be used up in it’s entirety! With all of that stacked against us, what hope do we have? What can we possibly do to be more productive? In order to figure this out, one of our best bets is to observe the habits of some of the world’s most productive people. Fortunately for us, numerous researchers have done exactly that, and their findings on the “secrets” of productivity will surprise you. Better yet, the most elite players were getting more sleep on average than everyone else! Subsequent research by Anders reveals the answer: the best players were engaging in more “deliberate practice”. That is, they spent more time on the hardest tasks and were better at managing their energy levels. Think of it this way: if you were trying to get better at basketball, you’d be much better off practicing specific drills for a couple of hours rather than “shooting hoops” all day long. Since deliberate practice requires you to spend more “brainpower” than busy work, how can you implement it without draining your willpower? The Zeigarnik Effect (mentioned above) is a construct in our minds that psychologists have observed in numerous studies on “suspense”. One such study gave participants “brain buster” puzzles to complete, but not enough time to complete them. The surprising thing was, even when participants were asked to stop, over 90% of them went on to complete the puzzles anyway. It’s the same thing that happens when we become engaged in a story in a book, movie or TV show: we want to see how it ends! You can use this knowledge to your advantage by just getting started on that next big project, knowing that first step really is an important one in being productive. Once you’ve gotten started though, you need better methods of staying productive and engaging in “deliberate practice” in order to avoid doing busy work. Since most of us are worried about our willpower, we don’t push ourselves to our maximum productive output: instead of “giving our all” for brief productivity sessions, we distribute our effort throughout the day, leading us back to busywork to fill our time. 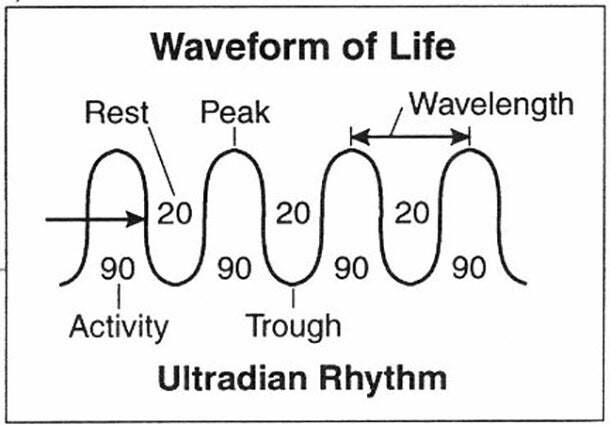 Research from Peretz Lavie on “ultradian rhythms” matches up with these findings: longer productive sessions (of 90 minutes) followed by short breaks (of no more than 15-20 minutes) sync more closely with our natural energy cycles and allow us to maintain a better focus and higher energy level throughout the day. The best part? Both of these studies on energy management match up with the practice schedules of the world-class violinists: the most common practice regimen for the “cream of the crop” players was a 90-minute block of intense practice followed by a 15-minute break. The moral of the story: It’s hard to be productive while trying to maintain high energy levels through your entire day. It’s much easier for your brain to approach a 90-minute session of productivity when it knows that a 15-minute break is coming up afterward. Instead of trying to conserve your energy for multiple hours, we are at our most productive when we break big projects down into smaller chunks and plan a recovery period right after. Fortunately, we have research in this area that will change the way you approach discipline and that will get you to start using systems to maintain and track your progress. Given their disposition for being unable to commit to many things, you might be surprised to find that during an experiment testing the ability of drug addicts to write & submit a 5 paragraph essay on time, those who wrote down when & where they would complete the essay were 90% more likely to turn it in! These findings were especially interesting because Ariely noted that students who gave themselves too generous of a deadline often suffered from the same problems as students who set zero deadlines: when you allot yourself too much time to complete a task, you can end up creating a “mountain out of a molehill”. Tracking your progress in this way has been proven by Dr. Kentaro Fujita to increase self-control because you’ll be exposed to the work you’ve actually accomplished, and not the (inaccurate) assumption of work you might construe in your head. (Forcing yourself to write down the fact that you spent 2 hours on Reddit doing no work guilt trips you into not doing it again ;)). Progress tracking is also a known strategy for stopping yourself from engaging in “robotic behavior” (also known as ‘busywork’), a habit that researcher John Bargh describes as the #1 enemy of goal striving. With a work schedule, an energy management strategy and a task-tracking system in place, the last challenge we have to face is that ofmultitasking. The danger surrounding multitasking lies in how our brains perceive it: according to a 1999 study, we have a tendency to view multitasking as really effective from the outside... after all, shouldn’t productivity increase if we are doing multiple things at once? The science shows us that this is an absolute falsehood: Researcher Zhen Wang was able to show that on average, multitaskers are actually less likely to be productive, yet they feel more “emotionally satisfied” with their work (creating an illusion of productivity). ...and found that they were terrible at all 3! The best way is to simply block ourselves from distracting elements that may cause us to multitask. When working on the computer, be sure to use tools like Controlled multi-tab browsing and StayFocusd (Chrome extensions) to block distracting sites and limit the amount of tabs you can have open. 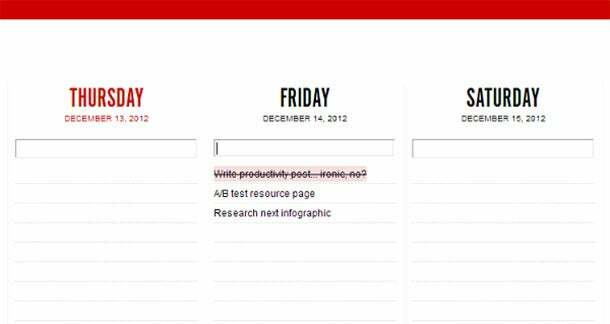 The reason this method works far better than planning your daily tasks in the morning is because research from the Kellogg School(not the cereal :P) has shown that we drastically miscalculate the amount of focus we’ll be able to maintain in the future: that is, we strongly believe that we’ll be able to quickly plan our day the next morning, but when tomorrow rolls around without a game plan to get us started, we’ll likely fall back into our old multitasking ways to avoid doing any real work. You can create an evening planning ritual with a simple pen & paper or use an online tool like TeuxDeux each night. List only priority tasks (the “big 5”) for the day and be sure to include completed tasks in your Accountability Chart when they are completed. Last but not least, since the research has shown us that we are terrible at “winging it” when it comes to completing big projects,split large tasks up into smaller segments so your brain won’t view the assignment as something that is so large that you must multitask to complete it. That was a lot of research covered in quite a long blog post. If it’s not worth measuring, it’s not worth doing: Okay... that might be a bit of an exaggeration. Tracking has been proven to be the best way to stay diligent about your progress. 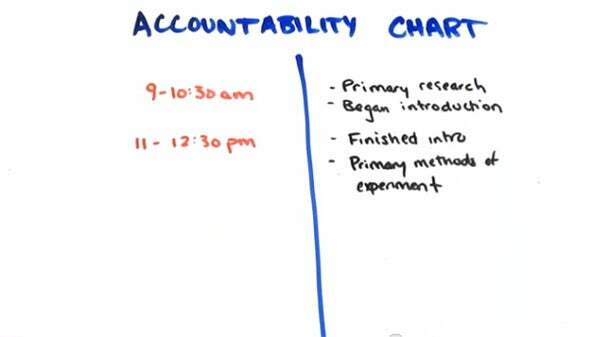 Create an accountability chart to list what productive things you’ve gotten done throughout the day. You’ll see how much you’re really accomplishing. Did anything make you re-evaluate how you view productivity? Do you particularly agree (or disagree) with any of the conclusions I’ve drawn?